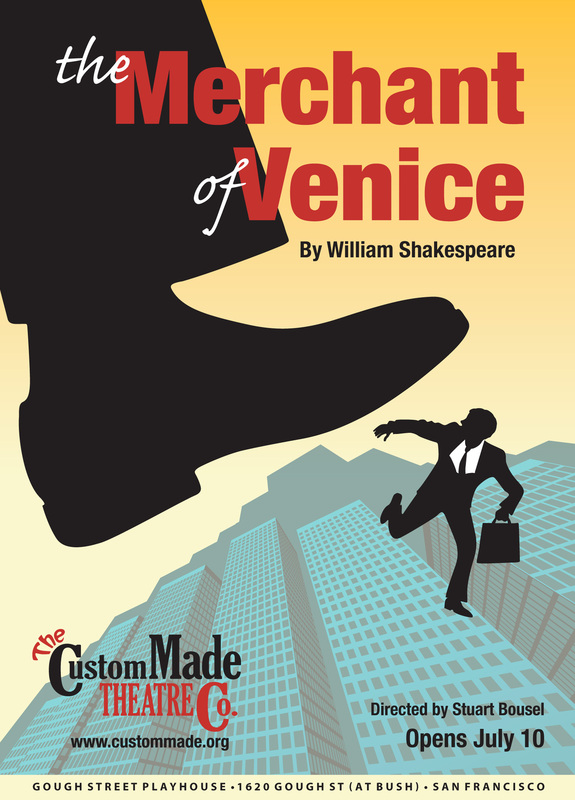 The Merchant of Venice | The Custom Made Theatre Co. Custom Made takes on this tragic comedy of love, friendship, prejudice and justice, in a story in which no one is truly innocent. Custom Made’s production of “Merchant of Venice,” directed by Stuart Bousel, relocates the classically controversial play to modern times where, in an atmosphere reminiscent of Wall Street and peopled by status scrounging rogue traders and arrogant millionaires, fortune-seeking Bassanio will pursue the love of genius heiress Portia. The way to the lady is bared by an edict created by her controlling father that she will lose her fortune if her potential husbands don’t undergo and succeed at a game of chance. Bassanio enlists the financial aid of successful trader Antonio but he enters his own gamble when he agrees to a back room deal with Shylock, a socially ostracized banker whose daughter Jessica is planning a secret elopement with her young lover, the feckless Lorenzo. A stylistic cross between “Mad Men” and “American Psycho,” Custom Made’s production explores how money, greed, recognition and power corrupts souls and tears lives apart in an era when life and lives are the cost of doing business.